So I know it's been awhile... I've been extremely busy, haha! 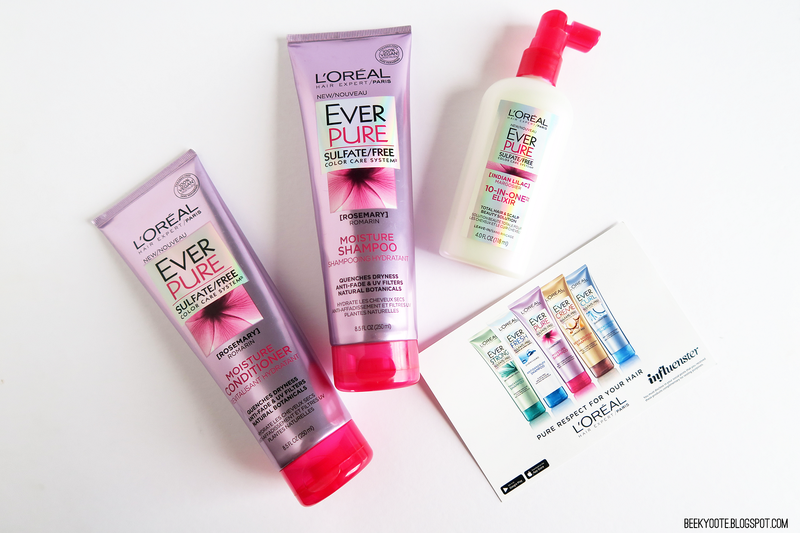 But today I have to share with you all the most recent voxbox I got and it is from L'Oreal's recent hair line! Read on for more info! EVERPURE Moisture Shampoo & EVERPURE Moisture Conditioner -with rosemary deeply replenishes dry hair with essential moisture, lush-touch softness and luminous shine. Keeps color pure for up to 4 weeks. Color-treated hair requires special care. EVERPURE10-In-1 Elixir - a total hair and scalp beauty solution with Indian lilac transforms hair vitality in just one week. Skincare inspired super treatment delivers 10 benefits in 1. Hair stays healthy, reflecting color radiance and is an integral part of any sulfate-free hair care routine. I like the Shampoo and Conditioner combo a lot! 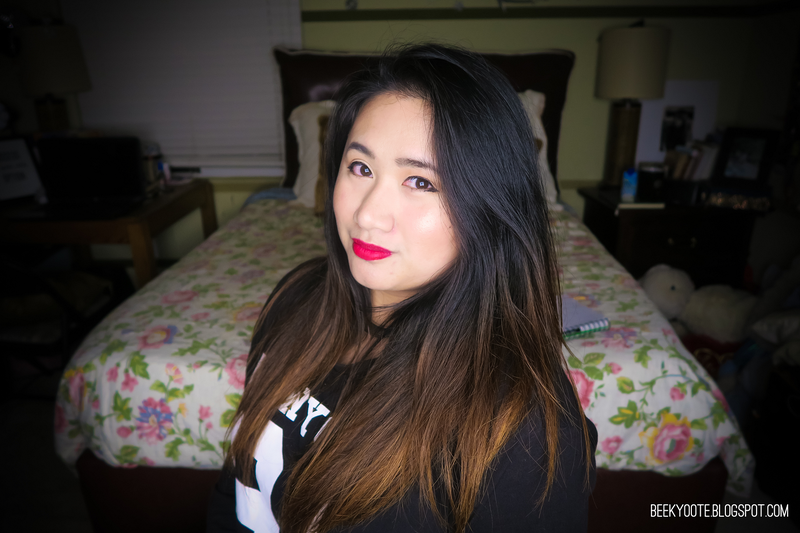 Even if my hair isn't totally colored, I still suffer from dry ends because of the color-treatment damage I inflicted on my hair before. Therefore, I always love moisturizing hair products and this just does that! My hair is shiny and looks alive! Plus, my hair doesn't get super oily after nor do I get dandruff from it! Yay! Something I like, finally! As for the Elixir, I haven't felt much of a difference yet. Maybe it's because I haven't been using it for several consecutive days... but if I was looking for an instant wow-factor... this is okay. 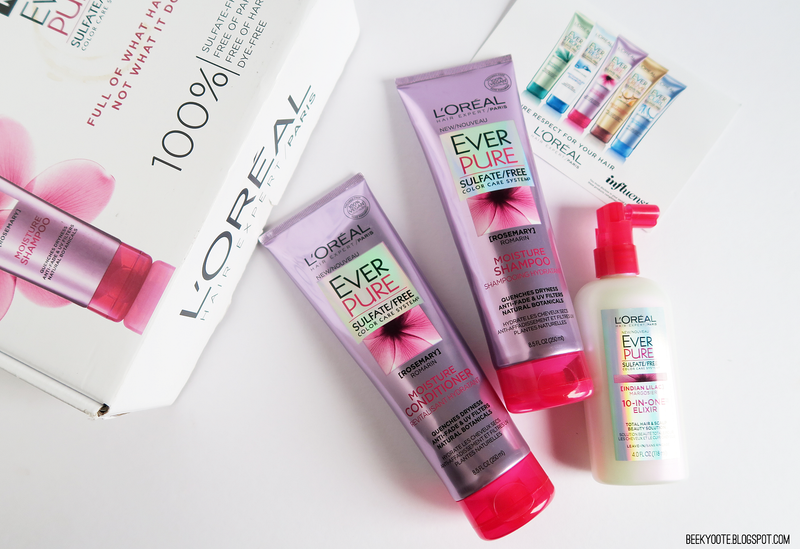 All in all, I recommend you try L'Oreal's new hair products! They got four more variations for you to try depending on your hair dilemna, too! 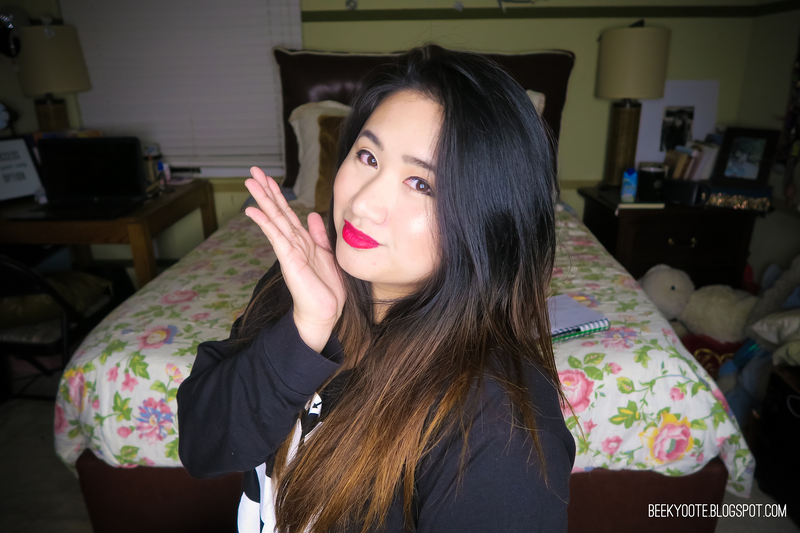 Here's my newly washed hair with L'Oreal! CHRISTMAS 2016 + JANUARY 2017 HAUL by beekyoote. If you want a chance to get a voxbox wherein you get to try the latest products to review, join INFLUENSTER here!